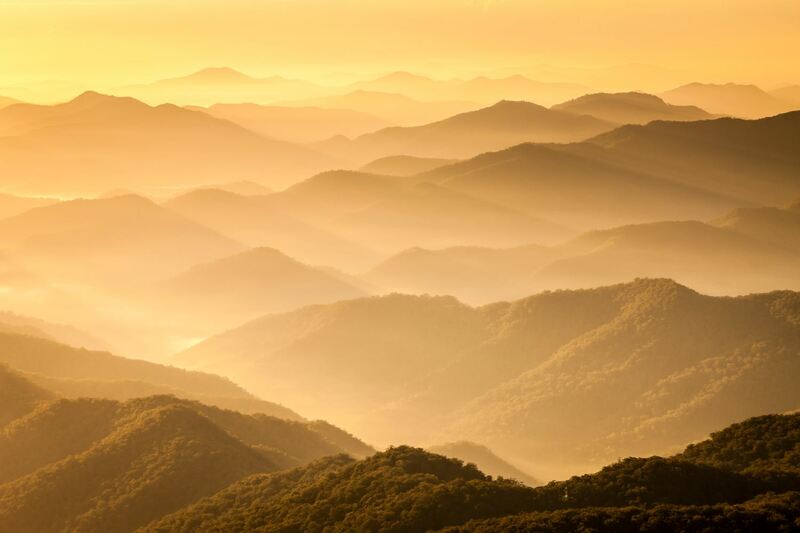 One of New South Wales’ hidden treasures lies just behind the Coffs Harbour coastline. The aptly named Waterfall Way winds its way from the coastal town of Urunga to the New England Tablelands. Along the way are concealed some of the best waterfalls and scenery in the state. 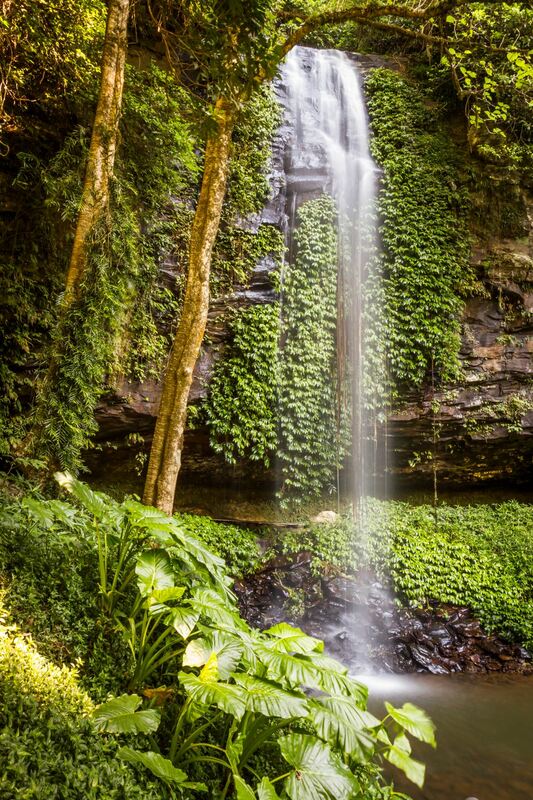 Leaving behind the coast, Waterfall Way ascends the lush green escarpments of Dorrigo National Park. Exploring the parks walking tracks you’ll find some amazing rainforest and of course spectacular waterfalls. Crystal falls is a must see. The impressive cascade can be viewed from a multitude of angles; it’s even possible to walk behind the falls making for some unusual shots. 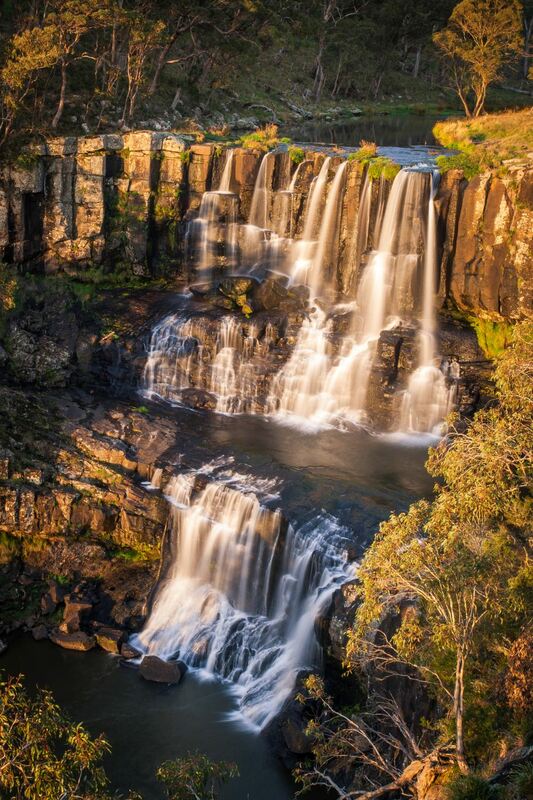 It’s only a few kilometres further into the ranges that you’ll find the beautiful Dangar Falls. 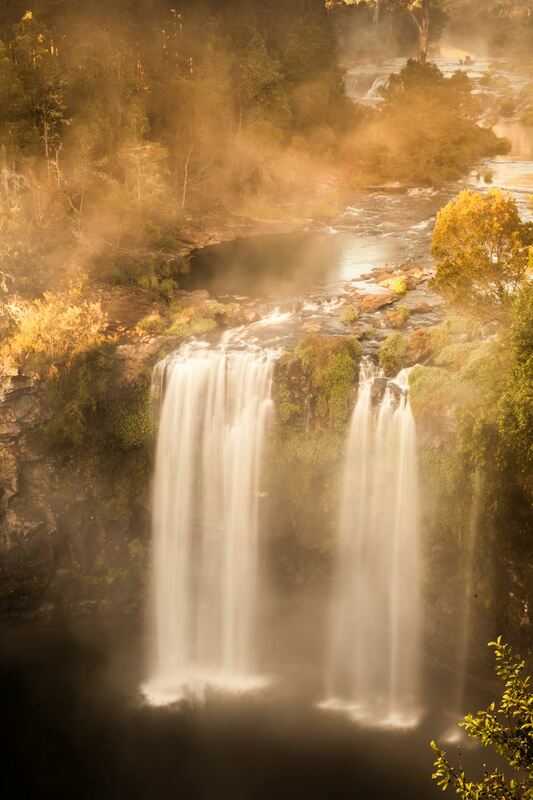 These falls are easily accessible from the town of Dorrigo. A small lookout above the falls affords great views over the cascade and the Beilsdown River. You can also gain access the base of the falls, although in my view the falls are definitely better photographed from the lookout. The falls are a pretty spectacular sight especially on a cold morning with mist rising up from the river valley below. The first light of day colours the mist with warm light creating a real mystical feel. With freezing night time temperatures it’s not always easy to un-grip the doona and get out for the sunrise, but the spectacular views from Point Lookout make it all worthwhile. 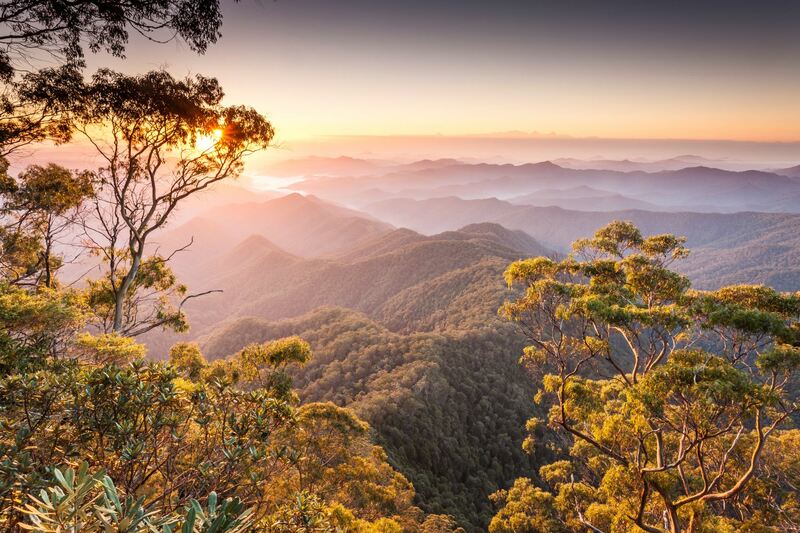 The views over the New England National Park are amazing. So much so I made two dawn visits to the lookout and was rewarded on both occasions with spectacular sunrises over the park. From our base at Cathedral Rocks National Park (we stayed at the Native Dog camp ground which I can highly recommend) a short journey takes you to Ebor Falls. Two cascades make up these huge falls. It is the upper falls that are more easily photographed. Normally I wouldn’t photograph waterfalls in direct sunlight but the late afternoon sun provided subtle warm light which really helped lift the scene. View over the Guy Fawkes River National Park. If you’d like some further info on the area don’t hesitate to drop me a line. All of my pictures of New England Tablelands are available to buy as high quality photographic prints or on Canvas, I also have many framing options available. 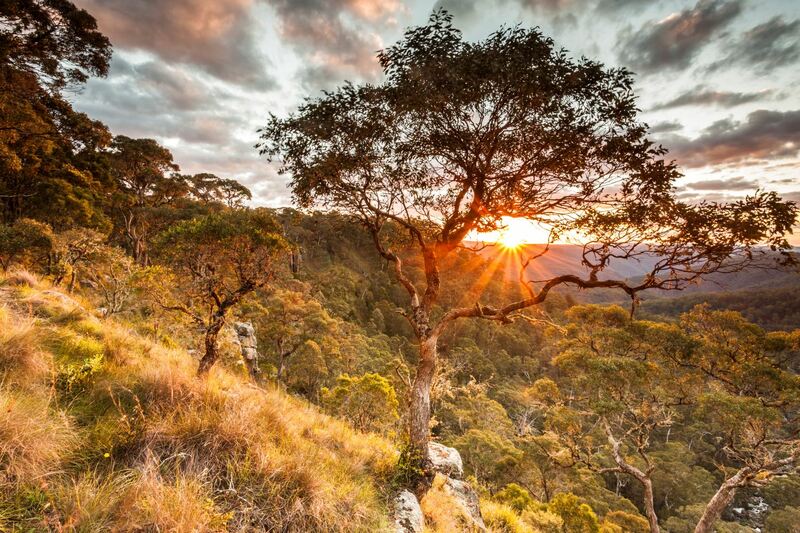 See Pictures of New England Tablelands for print and framing options. For enquires about image licensing and corporate purchases of my pictures of New England Tablelands call Richard on 0410191288.